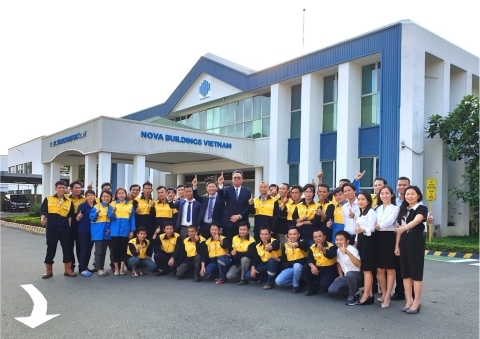 HO CHI MINH CITY & BIEN HOA, Vietnam--(BUSINESS WIRE)--At the beginning of the year, Nova Buildings Group announced the acquisition of BlueScope Buildings’ key fabrication assets at Bien Hoa City in Dong Nai Province, Vietnam. Since the announcement, the Group had taken over the steel structure fabrication site situated about 30 kilometres from Ho Chi Minh city. Preparations had been underway to refurbish and prepare the site for operation. Nova Buildings' Bien Hoa facility is ready for full scale operations. Orders for new projects will be fabricated here and shipped to other countries.